"Men abandon their new brides on the side of the road when they take too long in the bathroom. A woman, unprepared to have a child, reverses her pregnancy. A man murders his wife and stuffs her in a suitcase and receives accolades for his brave new work of art. 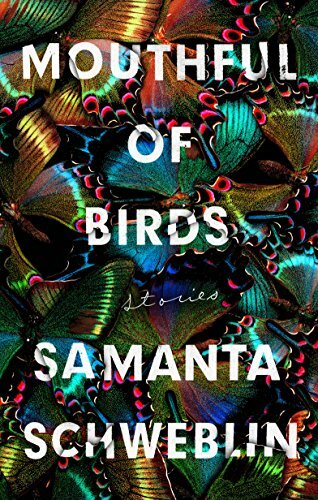 Reading Mouthful of Birds, like reading Fever Dream, was an uncanny experience of being completely unable to tear my eyes from the page, but also being unable to skim even slightly. Reading Mouthful of Birds was like crawling inch by inch along the ground in a park with a magnifying glass, out of scale and time, fixated on the alien strangeness of the moss and twigs that make up your daily surroundings." Section New Hardcover - Fiction / All Staff Suggestions / Fiction Suggestions / Rachel S.